Players are not buying the argument that Syndra is "fine" and has too high of a​ win-rate to warrant a buff to the champion in League of Legends. ​Sir Rogue took to the​ LoL gameplay forums to express frustration at the idea that Syndra is in a good place and made their case through the use of win-rate and play-rate percentages from multiple champions. They point at Aurelion Sol, ​Zed, and Azir as characters that are doing better than Syndra based on the numbers. 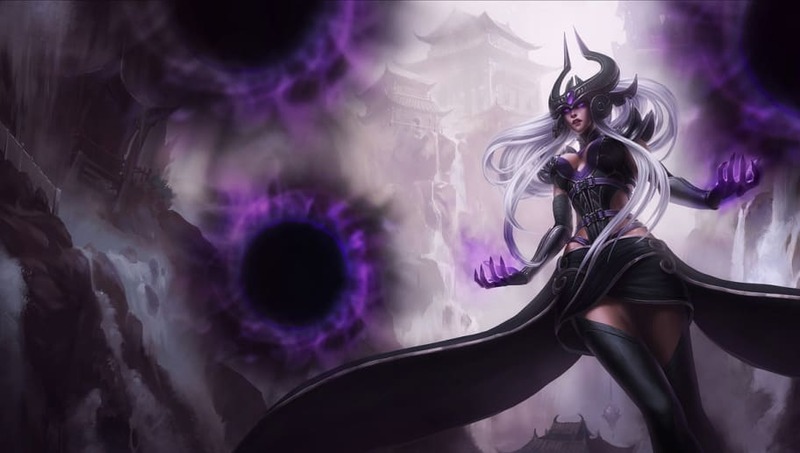 Sir Rogue also made a suggestion for a key change to Syndra stating that reverting the Q passive is the key to making the character better, "It would bring back the sphere management needed to access her burst (good change for enemies playing against Syndra) and would bring back the power her Q needs (good change for Syndra players)." David "RiotRepertoir" Capurro, Lead Live Gameplay Designer at Riot Games, shared his own comments on the forum thread and shared some information that could be hints at new balance changes that could potentially help the character. ​In his response post he stated, "I just came out of a meeting where we talked about giving Syndra some help in 8.8​, as well as a bunch of other things. However, we're adding some stuff to the patch that heavily influences her competition, so we'd like to see how those work out and then see if we think she still has room for some direct help after seeing how that goes. RiotRepertoir didn't rule out Sir Rogue's suggestion, "Q passive could be the thing that we should do. To the best of my knowledge, I don't think anyone here is too particularly attached to that exact passive bonus." Patch 8.8 is already seeing changes to other mid-laners like ​Ahri and Leblanc. If those two mages get ​out of control, then they might have to be toned down a bit. If the balance changes put them in an okay spot, then Syndra will likely get the buffs that she needs.